We love that you're taking massive action and you watched the first training video. Now that you've seen how to take your idea and turn it into a Massive Vision, here's the next step. 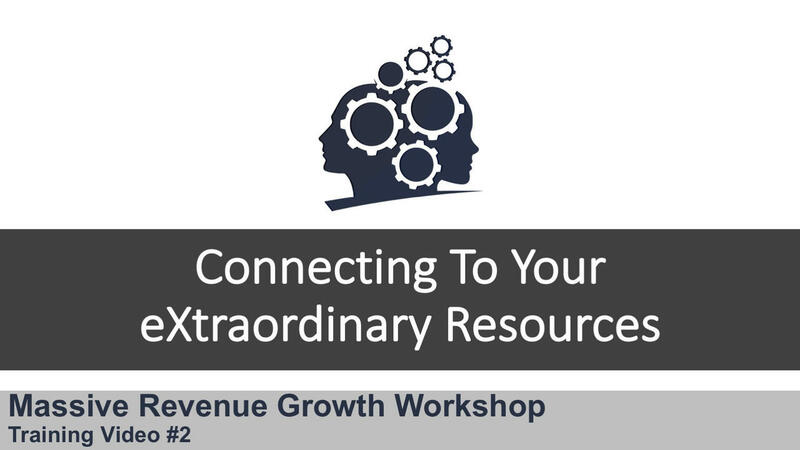 In Training Video #2 you'll see how to take that Massive Vision and connect it to eXtraordinary Resources of your very own. And of course we've got you all set up with the worksheets to start doing this for yourself today too. Step by step and inch by inch, so you can follow along at your own pace. Unlock The FREE Business Growth Toolkit For Me Right Now Please! The business growth toolkit is your 5 step formula to immediately kickstart your business growth... like never before! These powerful tools will immediately help you grow your business faster than you ever thought possible. The Business Growth toolkit includes 21 video training's in 5 powerful modules to get you to your massive revenue growth. Complete this form and hit submit to get instant access.